A get-together... North of the border! 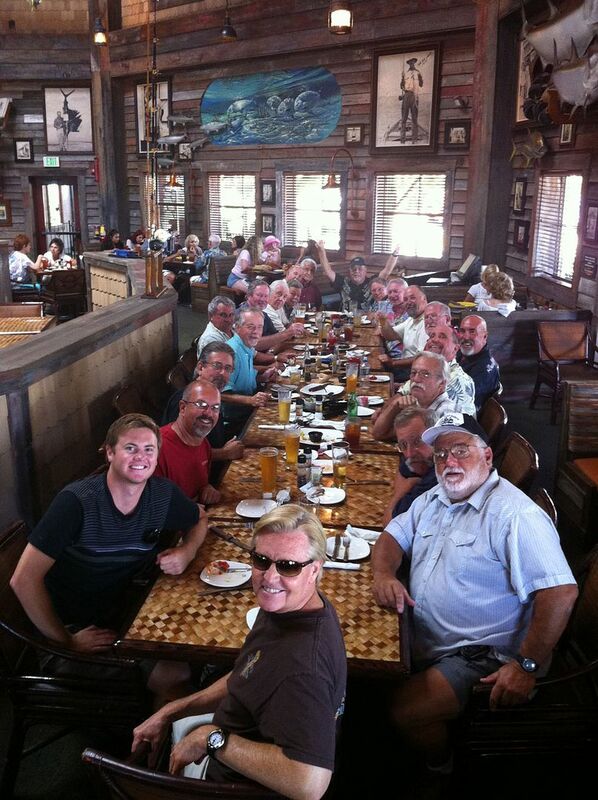 A large group of the camp owners and attendees got together yesterday North of the border to do some shopping and have some lunch at the Bass Pro Shop in Rancho Cucamonga! 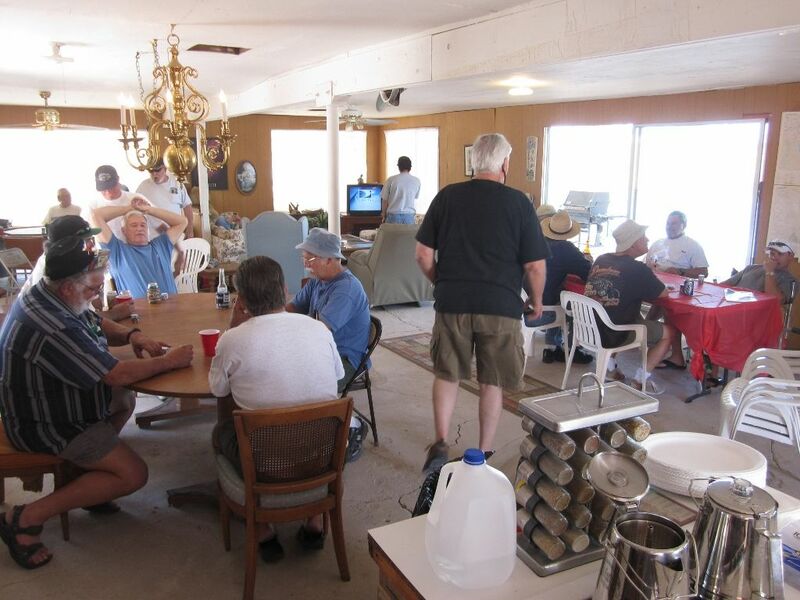 This was sort of an impromptu gathering, but gave us all a chance to visit and catch up... just before hunting season opens. Paradise... I would have to say... YES! 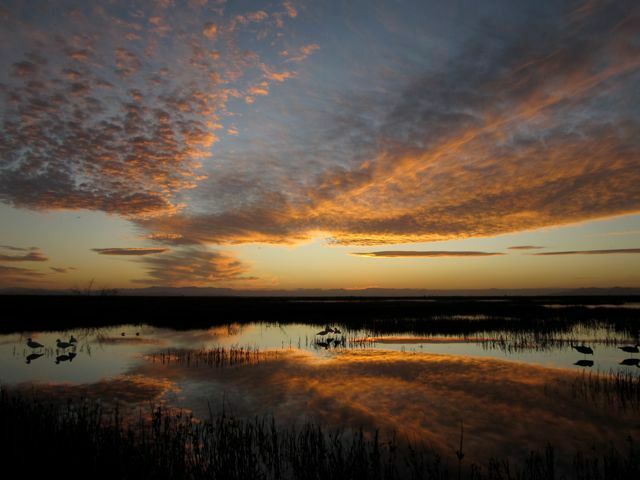 For over 40 years, hunter and avid sportsman, Jim K., sent along this photo showing his view from recent duck hunting trip down on the Rio Hardy. Sunrises are some of the most spectacular sites, but not as spectacular as all the birds in the air :-) Thanks for the Photo Jim. 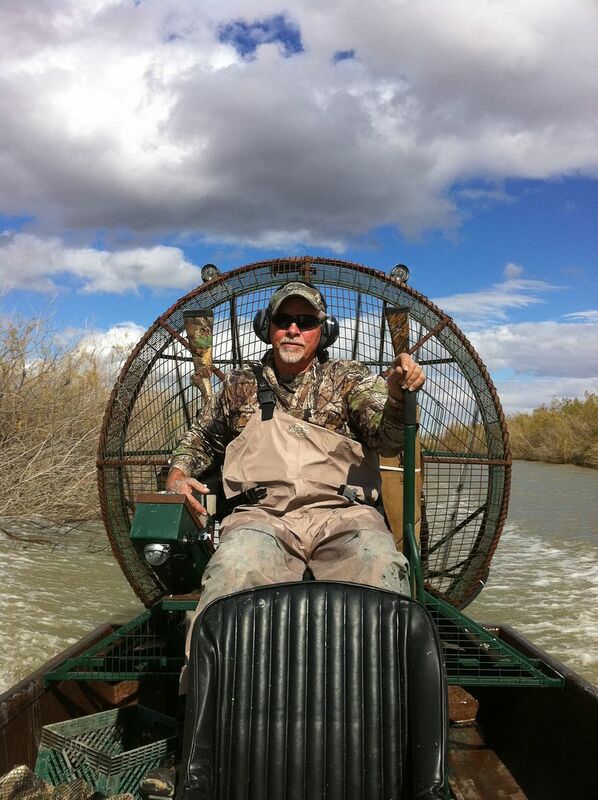 The wetlands of the Rio Hardy river basin are very similar to the swamps of Florida... that being said, one mode of transportation that works well in super shallow water is by airboat. 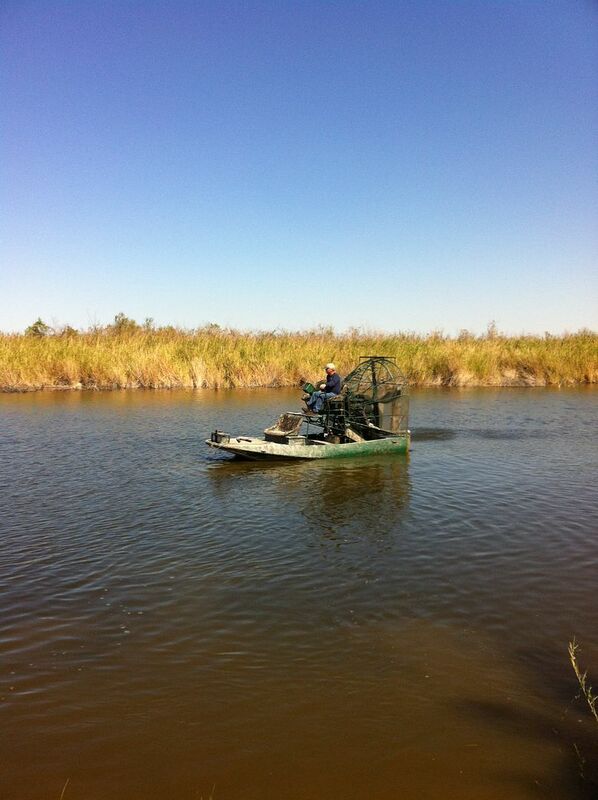 These high-powered prop propelled machines are amazing to have and are almost a must when the water is shallow. 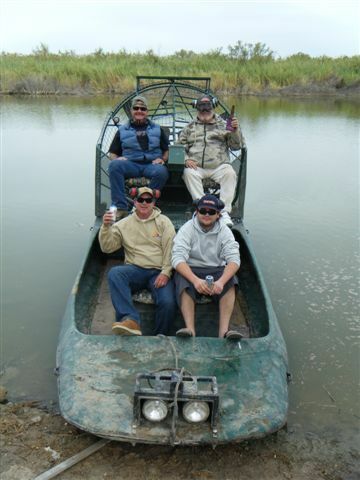 We also have the use for smaller outboard jet boats which work well in most all other circumstances. 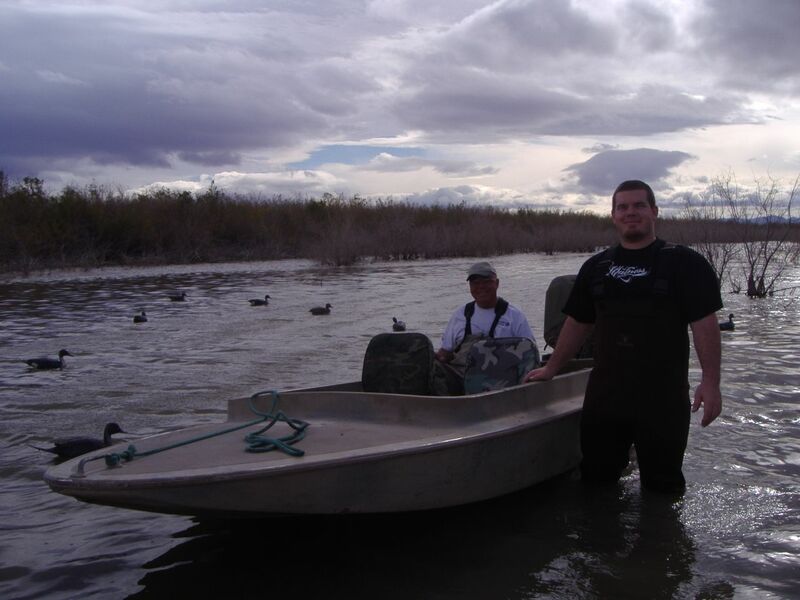 One advantage that the smaller boats have over the airboat is that they don;t make as much noise, allowing you to not scare up ducks while moving into your blind. 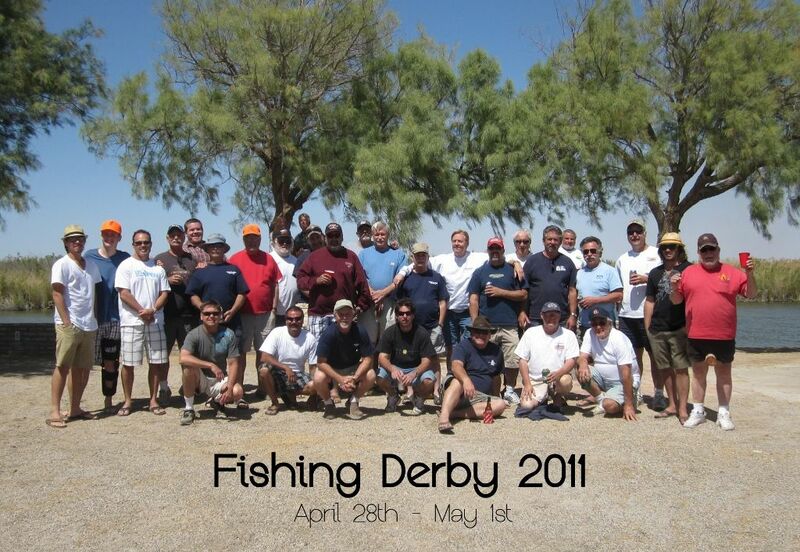 Along with hunting, we like to kick back and throw our feet up once in a while for the annual "Fishing Derby" trip! 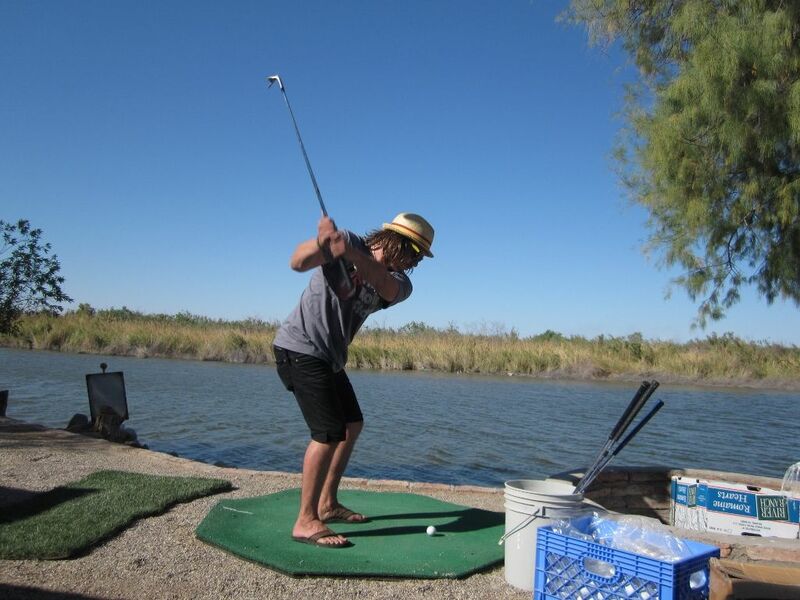 Golf, poker, fireworks, horseshoes, boats, jet skies... and food, how can I not mention the food... so much good food! 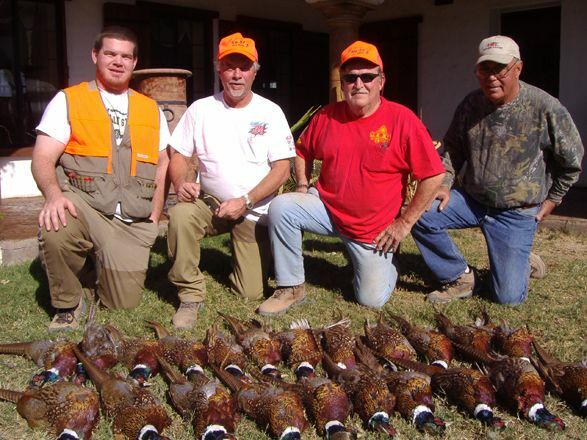 Along with the epic quail hunts, we also have access to many fields full of wild pheasant... for hunts that can rival any trip to South Dakota. 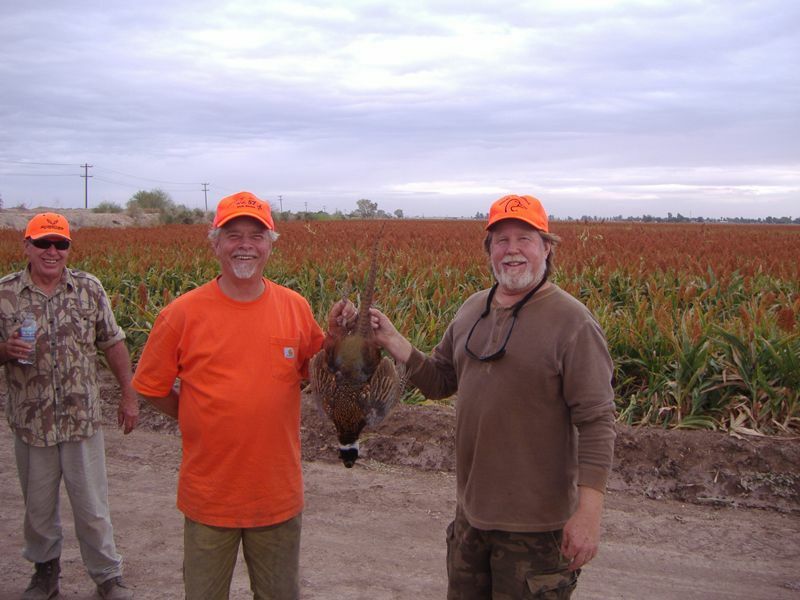 Most of these fields are back towards Mexicali and along with ample amounts of farm land to hunt we also have have the necessary guides along with us. 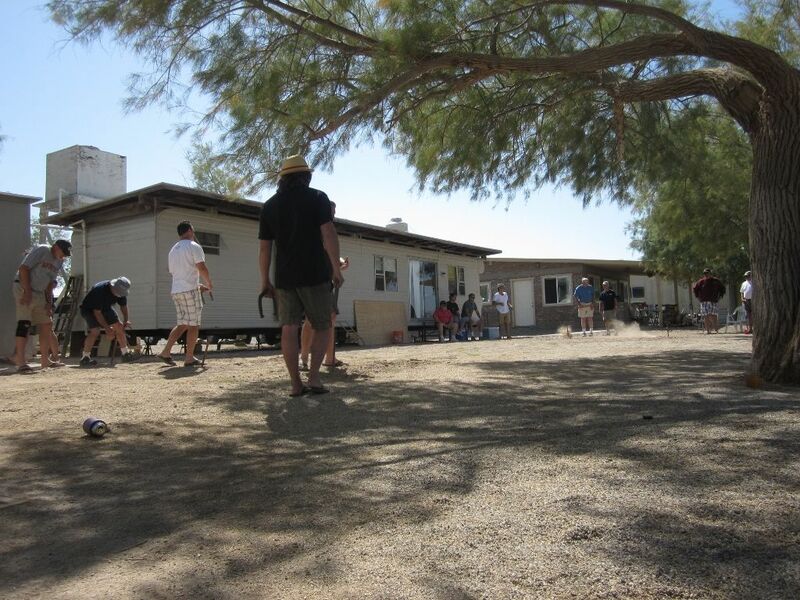 Camp life is awesome! We have a full-time tenant that watches the camp year around. 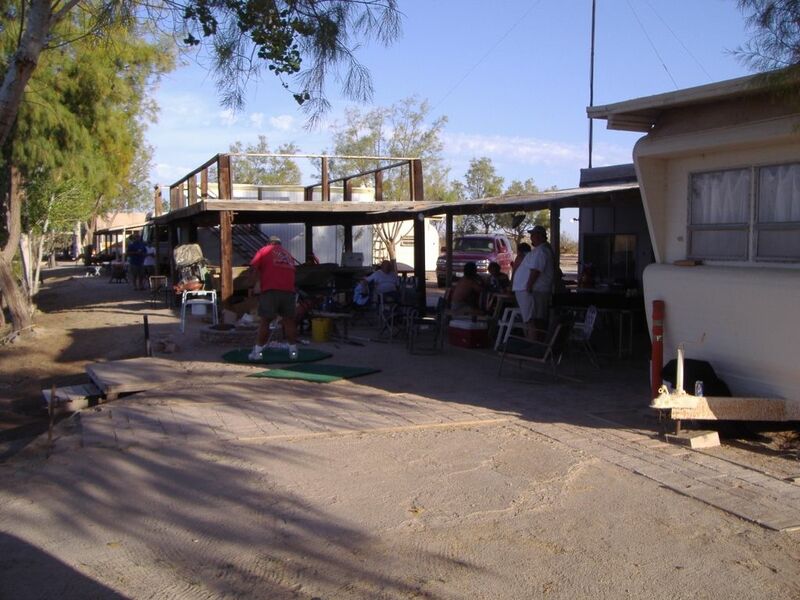 Part of payment goes towards upkeep, kinda like a HOA fee, so each and every time you travel down... camp is spotless and clean, and we wouldn't have it any other way. 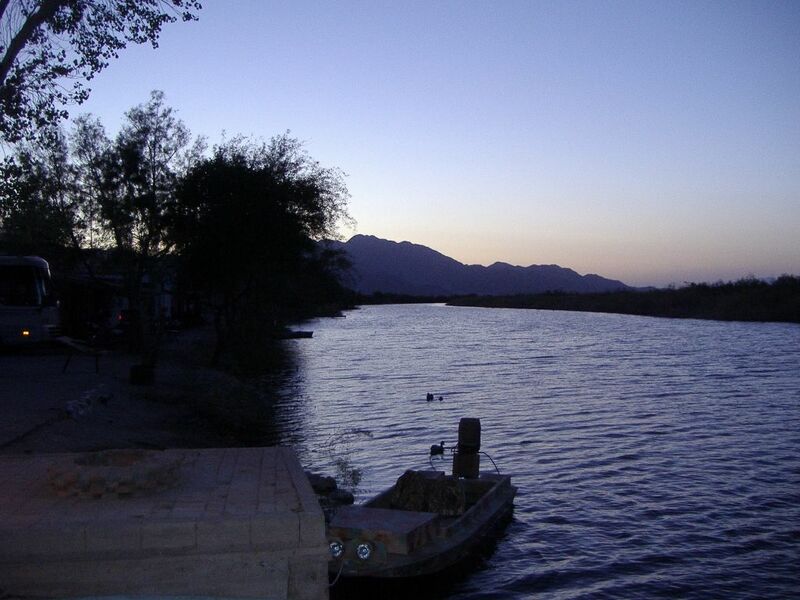 Most every lot is on the river, and to your back is the spectacular Sierra Juarez Mountains. 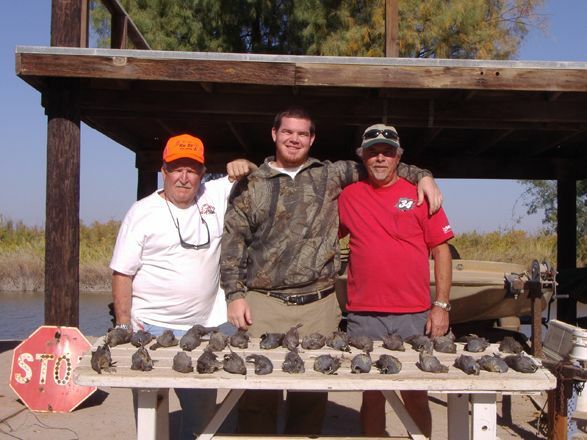 Not a bad quail hunt for 3 guys right?!?! 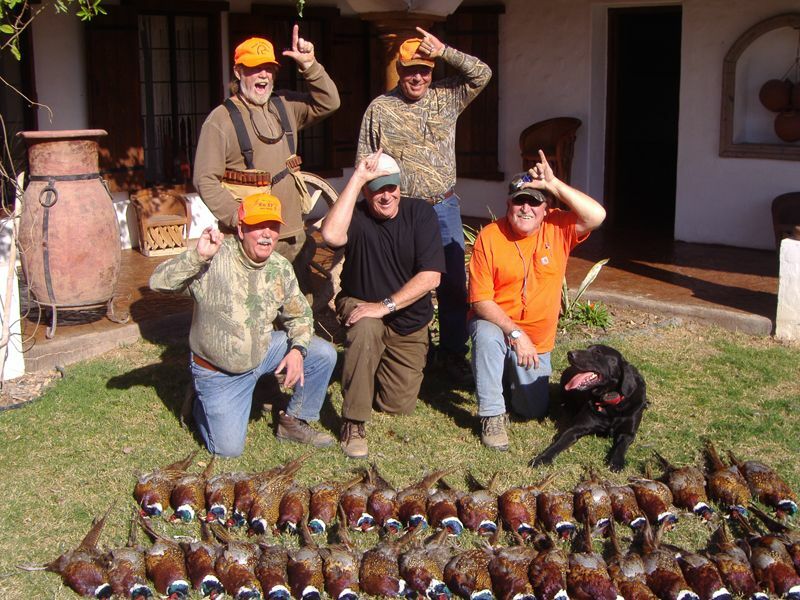 We bagged these birds up in the Valley of Trinidad which is about 1 hour 3o minutes from camp... not too long of a drive and we always get a ton of birds! 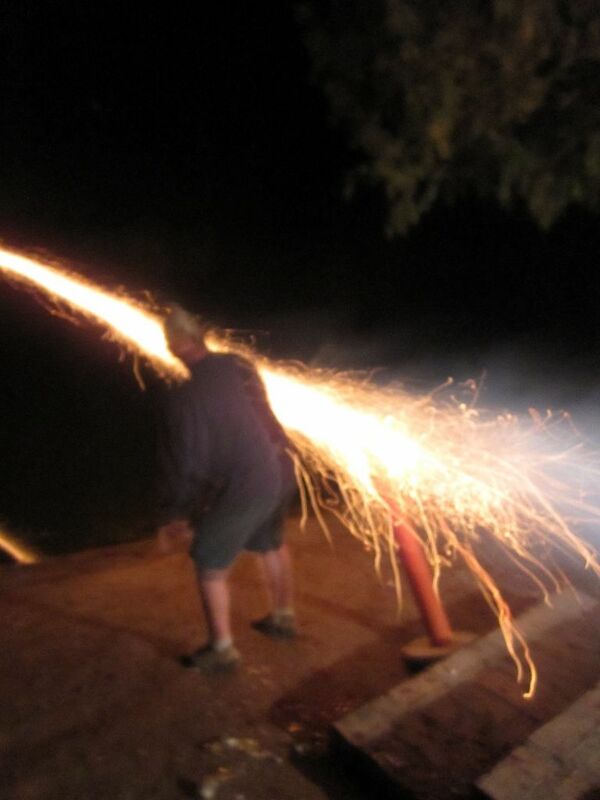 This was taken back in 2006. Everything you need to know about hunting! Content on this site is Copyright © 2012 Hunt Rio Hardy. All rights reserved.